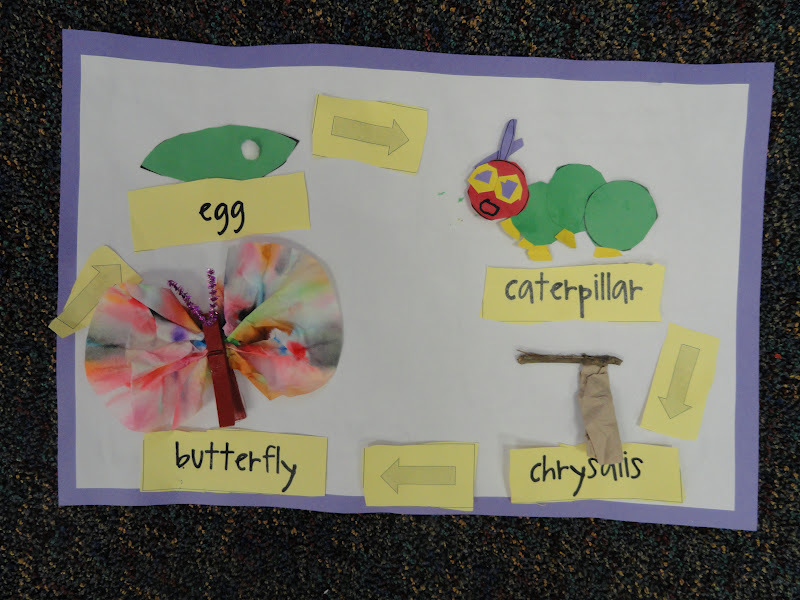 The kids just love The Very Hungry Caterpillar and all of the fun things we have been doing with this book. 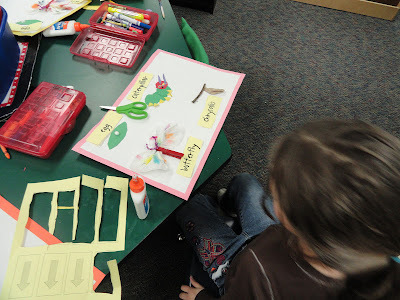 We have wrapped up our Very Hungry Caterpillar Math Unit. We have also been working on getting our Caterpillar Journal Bag home with a student to share each night. 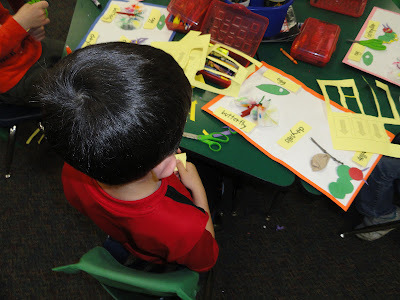 We just started last week our Very Hungry Caterpillar Literacy ideas which we just posted on TPT. Here are some pictures of a project in this unit. 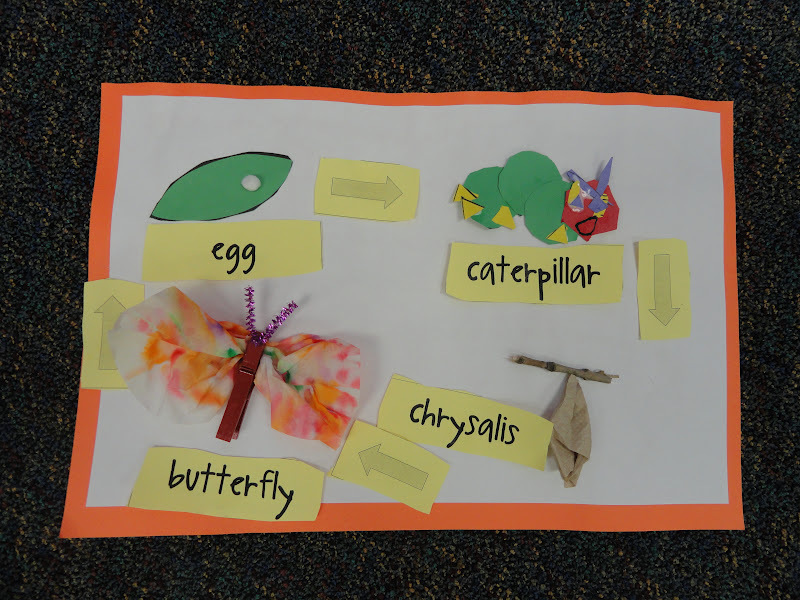 The kids have definitely learned a lot about butterflies. This life cycle art is the cutest I have seen. I am going to pass this on to our Kinder team! Thanks for sharing. The kids had a fun time doing this. Just added the arrows this year and they understood the concept of a life cycle is ongoing...well we hope it is! 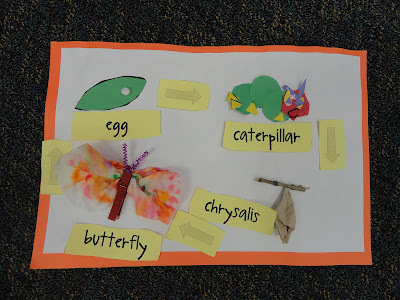 I love your butterfly life cycles. So cute!